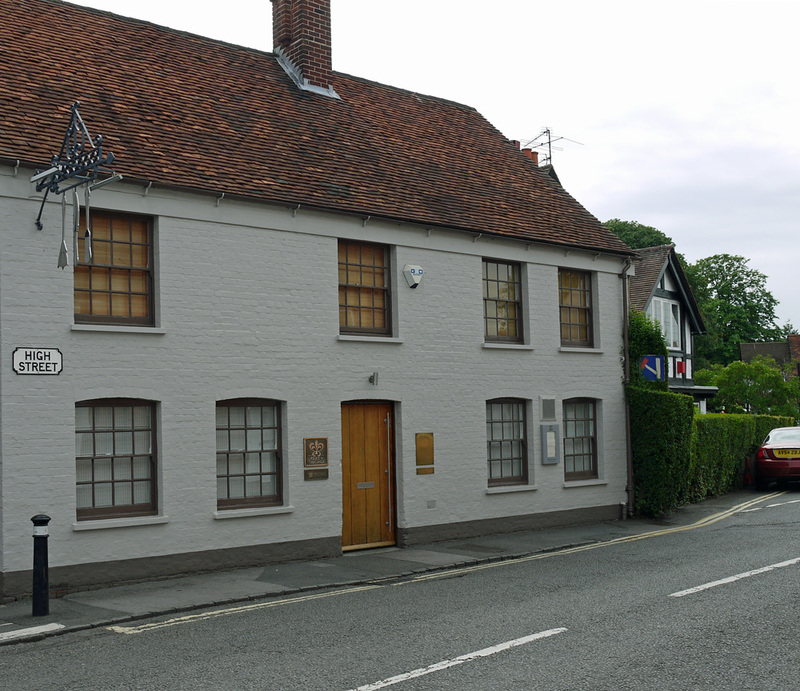 We often wondered why on earth there were two [out of England’s four] 3* Michelin restaurants in Bray – a little village on the Thames? Well, now we’ve been we can see. 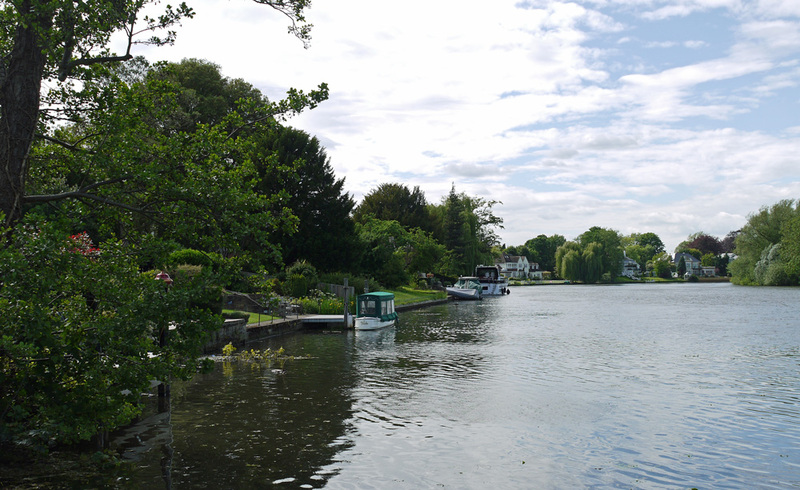 Very close to Henley-on-Thames, within a short bun-throw of Eton College, Windsor, Maidenhead and in one of the most affluent areas west of London. 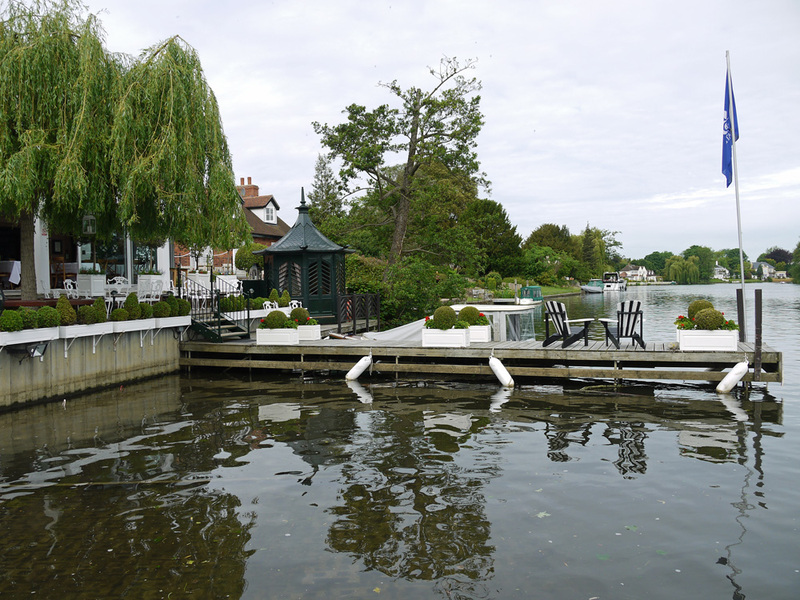 Set right on a beautiful stretch of the River Thames. Think polished, gleaming wooden Riva-style launches, picnics, straw boaters, sculling, champagne and endless days of sunshine… As a group of Yorkshire lads, we went on a little river trip post-A levels, and landed in Henley during regatta week. Another planet…mind you, a very pleasant planet with picnics, straw boaters, champagne [enough, we’ve had all that…ed]. Once you get out of London proper, the Thames turns from a metropolitan highway into a gentle river, designed for pleasure. 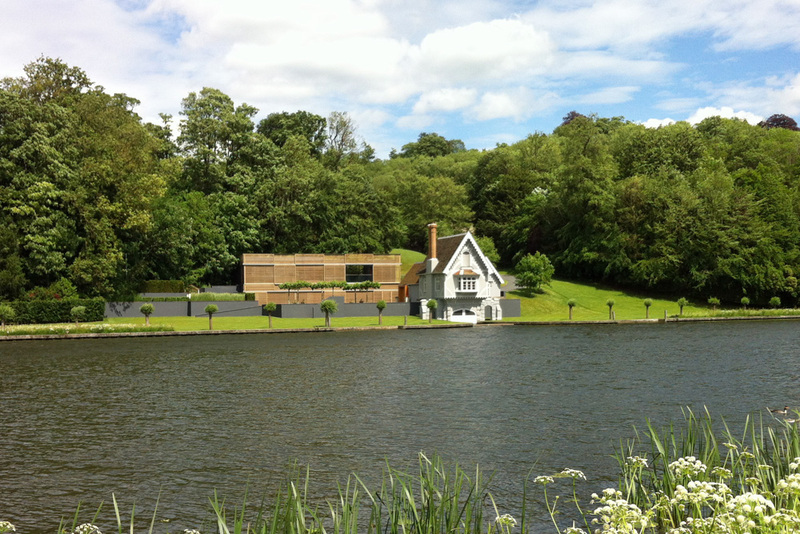 There are stunning houses all along the banks, interspersed with rich woodland and every kind of waterborne pleasure craft [well, very few yachts] seems to drift along, perhaps with band playing and the sound of popping champagne corks. Boden-on-Thames. A great place to hire a narrow boat or a little motor boat, perhaps trundling down from Oxford and stopping at comfortable little pubs along the towpath. 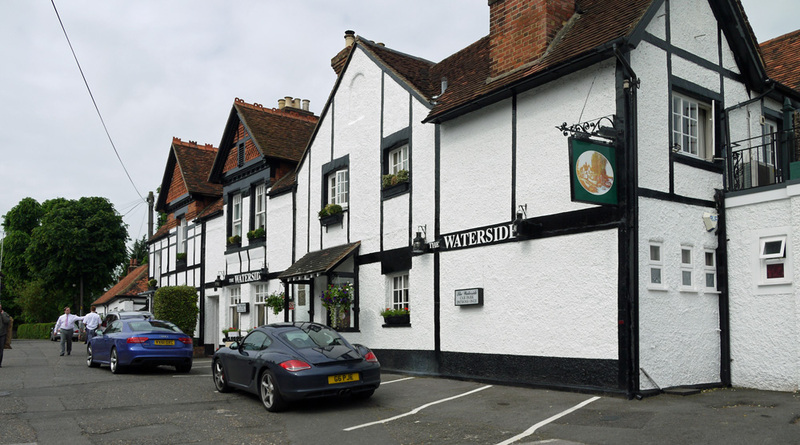 Speaking of champagne, we booked into the Waterside Inn. 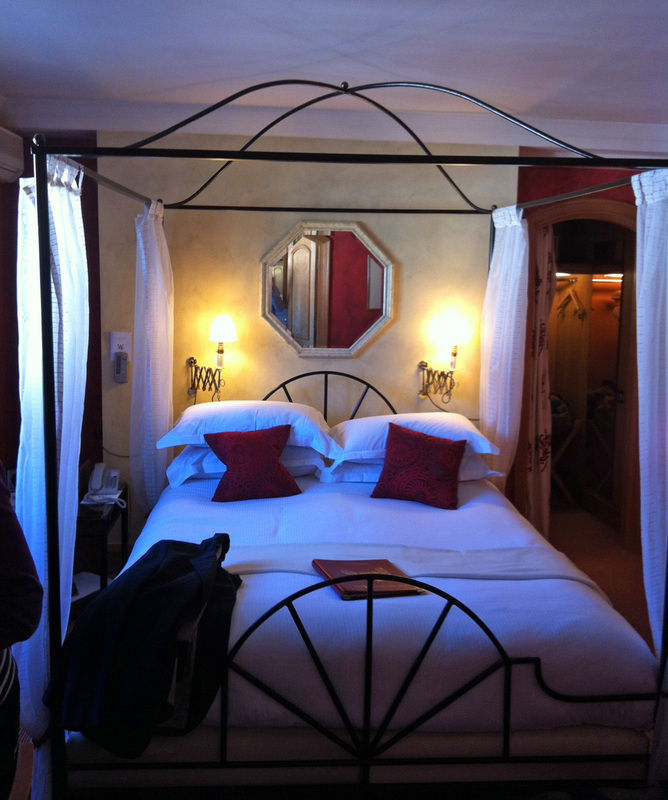 A rather special occasion and just the place for a special experience. The Roux dynasty helped set the standards for exemplary cooking, bringing french expertise and dedication to a land where previously shepherd’s pie and fish’n’chips ruled, with the occasional foray into an Aberdeen Angus steak. Alain Roux is at the helm now and pops along after you’ve eaten to make sure everything is Ok [Bravo, Magnifique merci!]. As with many places who offer this sort of experience, there’s no pomp and ceremony, just very good discreet help – they know what you want before you do. They have small bedrooms but a well-stocked little “guest kitchen” just along the corridor where you can make some tea in the morning. Of course, as soon as you put the kettle on, a member of staff materialises and completes the job with perfect grace. 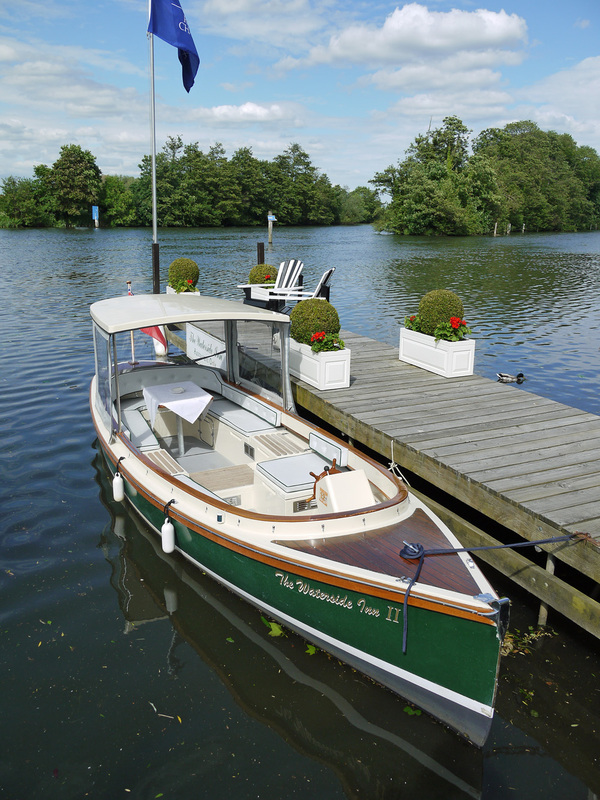 They have a little jetty on to the Thames and their own little electric launch that you can use [at a charge] to whizz up the river with a basket of afternoon tea and fizz. Drinks on the terrace where the sun always shines – perfect.